Palmers Welcome Bay is owned and managed by Murray Hutchins and Craig Dempster since October 2013. 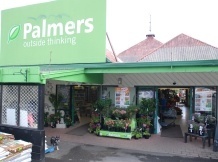 Murray has many years of expertise in operating retail garden centres and landscaping. Craig has been working in hospitality all his career and manages Café Botannix, the garden centre cafe. We have a brilliant team here at Welcome Bay who are committed to delivering superior customer service and providing customers with quality stock at competitive prices. Our friendly and knowledgeable team have years of experience behind them and are well known for their willingness to ‘go the extra mile’. Visit our store and experience the difference. We offer full delivery services to all surrounding areas including Papamoa. We offer a full property maintenance service to keep your home or investment looking great. Gardening, planting, mowing, pruning, hedge cutting, section clearing, rental clean ups – you name it we can do it. We can design a new garden for you or rejuvenate your old garden. We can also water your plants and feed your pets while you enjoy your well-earned holiday. Alternatively – bring your existing landscape plans in for a quote on plants. Free quotes are given for all work. Café Botannix offers the finest blend of Sierra coffee, together with fresh home baked treats and delicious meals from our seasonal menu. 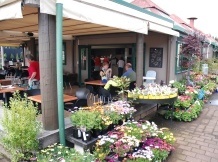 Botannix is the ideal setting to meet with family and friends and the perfect rest stop after shopping for plants and gift at Palmers.